About a month ago, we were informed that Stargate: Atlantis star Jason Momoa would be taking on the title role in Marcus Nispel‘s new reboot, Conan. That same day, Latino Review also had a little inside scoop that none other than Mickey Rourke was offered the role of Conan’s father, Corin (Read: Jason Momoa Is Marcus Nispel’s New Conan The Barbarian; Mickey Rourke To Play His Father?). This scoop has proven to be very much legit, and it has now been confirmed that Rourke is currently in negotiations to take on the role. 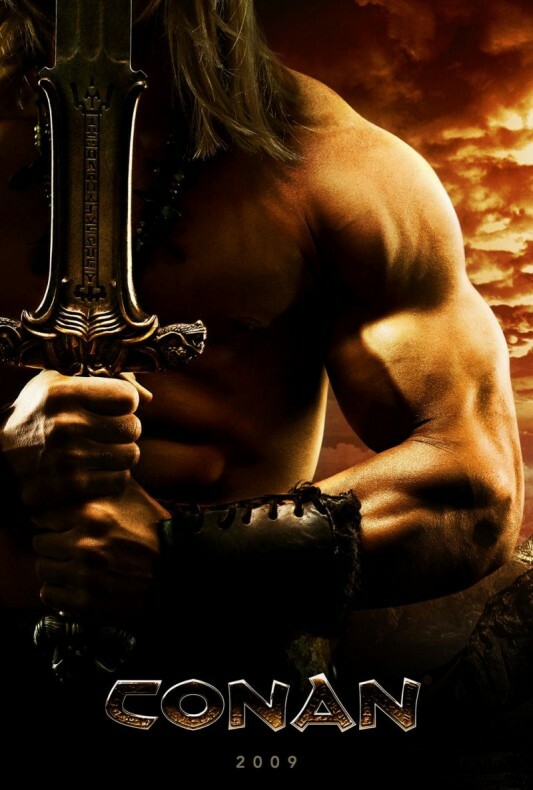 When the movie comes together, it will follow the barbarian Conan as he sets off on a quest to find those responsible for the slaughtering of his people. The role was first made famous in 1982 by Arnold Schwarzenegger in the movie Conan the Barbarian, and then once again in 1984’s Conan the Destroyer. Director Marcus Nispel has become one of the popular choices for these new, modern re-visualizations of older film properties — usually iconic horror movies. After doing a slew of different music videos, Nispel first took on 1974’s Texas Chainsaw Massacre and gave it a shiny, gory new look in 2003. Next up, he was hired to do the exact same thing to a little franchise called Friday the 13th. Both were good fun if you were fans of the older movies, but not too much was changed up structurally. Now with Conan, he has the chance to spread his wings just a little and show us his creativity in a different realm. Remember, at first, Brett Ratner was attached to the directing here. With all things considered, I have to believe this is going in a good direction. If Ratner were still attached, there is no doubt that that Titan dude from American Gladiators would be Conan, and Dolph Lundgren would be his father. Maybe Hulk Hogan as the village elder. The current hopes is that Conan will begin filming at some point next month in Bulgaria, with a release planned for some time in 2011.